Are Big Pharma’s Vaccines, (humanities savior from communicable diseases) actually responsible for more death and human suffering in the last century of increasing global proliferation, than ANY war in human history … The answer may shock the hell out of you! What follows is a composite of new information, excerpts form several previously published articles containing vital pieces of this puzzle, and a whole lot of anger (mine). The problems discussed here are in fact much worse today with legislation being prepared, or already enacted in many states to squash your right to choose, all but eliminate the exemptions available to you (medical, religious, etc…), or water down you right to (actual) informed consent. Please read and share this information with all you love and care for, with special emphasis on those who are pregnant, or with newborn or small children (most vulnerable to this damaging mechanism). With the first real concerted push to vaccinate Americans coinciding with the post WWI Spanish Flu Epidemic and the dismal failure this precipitated (some say more people were dying as a result of the vaccine, than the actual flu. ), we as a society have been under the dark cloud of Vaccines in earnest for nearly a century. The pitfalls and danger of this mechanism were suspected by many doctors and researchers even then, but their voices were either not loud enough … or they were bought off. Then mass vaccination exploded to biblical proportions into what we suffer today. The first thing you will find when reading the attached letter is that this letter to the editor (in a fashion) is well over a decade old and cites research proving the dangers of vaccines going back well over a generation or more. The second thing that will come to mind is that almost all we are aware of today, has also been known to researchers, doctors and physicians for decades or generations. A conclusion you must also come to is that, Big Pharmaceutical companies, seem intent on attacking the symptoms resulting from the issue instead of the root of the issue. It is a poor business model for Big Pharma to provide cures, but it is a great business model to provide symptom alleviation for the uncountable number of people who suffer mild to extreme damage and lifelong maladies from their drugs, opioids, and (especially) vaccines … Yea they got you coming and going! They continue looking for ways to alleviate the symptoms of autism, polio, auto-immune disorders etc… without focusing on (or even coming close to admitting) the root cause of these maladies … vaccines … !!! Aluminum, Mercury, Formaldehyde, Live (attenuated) viruses and much more, all deadly or in best case, dangerous to human physiology on a massive scale, injected directly into our bodies with nothing to prove efficacy or safety over an extended period of time, ever presented to a trusting public. It speaks volumes that after almost a century of vaccinating the American public, no long-term efficacy or harm study has ever been conducted by this government via such entities as the CDC concerning vaccines … while on many other mechanisms of possible harm such as a multitude of environmental toxins or radiation, a study has been performed. I would state with a very high level of confidence that just the opposite is true. I would dare to say such studies have been conducted and the resulting data has been purposely withheld from the public due to the massive outrage that would result. But most of all, and by far the biggest reason, is the hugely negative impact it would have on vaccine sales, and ultimately big pharmaceuticals bottom line. So did baby boomers (like me) get a known cancer virus contaminated vaccine for 3 years (over 100 million vaccinated for polio, with that vaccine, in that time frame)? This was the time when polio vaccinations were the rage … everybody got it to help protect America! The problem with all this is, recent evidence has shown SV40 to have contaminated the vaccines as late as the year 2000, and some researchers are stating it still contaminates the oral polio vaccine to this day. So is it a coincidence that today better than one out of three baby-boomers are afflicted with, or dying from, cancer. 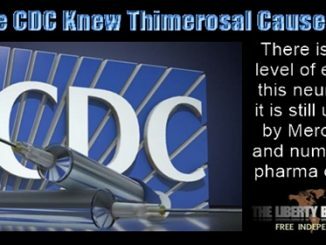 Let us also flag (again) the CDC whistle-blower Dr. Thompson’s revelation of a massive thirteen year cover-up of the CDC’s own research data tying the MMR vaccine directly to autism, and the seriously increased risk to infant male African American children. 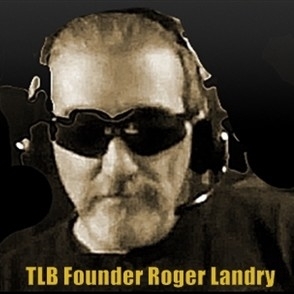 Autism is suffered by as many as one out of every twenty-eight male children, and one in approximately fifty female children today (average one in approximately forty children), the highest level on the planet … That is beyond epidemic proportions! And just how common is vaccine damage? Approximately thirty thousand (30,000) VAERS reports are filed annually, and the CDC states that only 1-10% of actual cases are ever reported as such … Yea do the math, on the low side by CDC estimates 300,000 cases of vaccine damage occur every year! Now not all of these are life threatening, but how many are life wrecking? If even 10-20% are life threatening, wrecking, or stealing we are still talking about 30,000 – 60,000 incidents a year, that is still a huge number. Now take the above numbers and plot (add) probable vaccine damage over just the last decade … 300,000 x 10 = 3,000,000 and if we use 1% reported figure … 30,000,000. Now what if this was plotted over the last century … The number would be astronomical. Quite a devastating scenario for something sold to us as the “Savior of Humanity”! 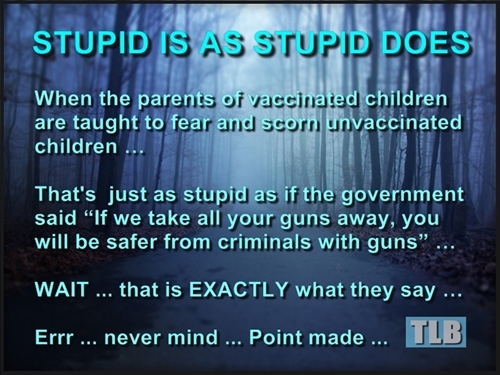 We can easily see, with even the most rudimentary research, the possible incidence of vaccine damage (which comes in many forms) is mind bending and so far above the lies and platitudes fed to us by those we are conditioned to trust that it is almost inconceivable. Please understand that if the immensely overused statement “Your chances of vaccine damage are less than one in a million” were true … Vaccines would be among the safest mechanisms on this planet, but all data points Blatantly to Exactly the Opposite. How many incidences of cancer, autism, autoimmune disorder, food allergy and many other life threatening or damaging maladies could have been avoided if we had focused on the root cause, the one thing all of these blights have in common … vaccines … instead of the symptoms, which the above stated maladies represent? How much death and suffering could have, would have, been avoided if agencies mandated with the protection of our health had come forth with the data they were aware of generations ago? The answer is untold MILLIONS! Millions dead, or damaged for life over the last century of vaccinations administered to the American society, resulting in massive suffering and the loss of untold personal and community treasure, and all for profit or the proverbial bottom line. These are all facts, not guesses or assumptions! But where is the massive public outcry? Who has gone to prison for life to pay for all this “PREVENTABLE” suffering and death? If you or I are responsible for the death of another, we will go to prison for life, or even lose our life, but entities such as the CDC or their owners/masters, the Big Pharmaceutical companies, enjoy total immunity. Big Pharma is ultimately focused on the symptoms or results of this damaging mechanism instead of the root of the problem itself, and this is basically self interest concerning profit and growth (as more of us get ill, or terminally ill). Something to think about … Why are there almost “400” new vaccines awaiting approval by these corrupt and complicit government health agencies, vaccines who’s efficacy and safety are based on a track record of lies, deceit, and failure? Are Big Pharma’s Vaccines, (humanities savior from communicable diseases) actually responsible for more death and human suffering in the last century of increasing global proliferation, than ANY war in human history? 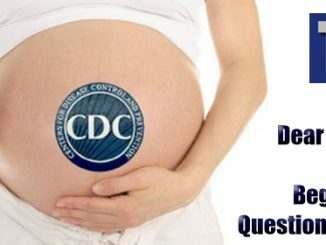 Answer: by all information available including the CDC’s own information, the answer is a resounding … Hell Yes! It is time to wake up to the tragedy untold millions have and are suffering, because it will only get worse … much worse! Isn’t a Century of Suffering and Death, a Century of Lies and Deceit … Enough ??? Like everybody else I have been told that vaccinations can protect us against dangerous diseases like small-pox (variola), tuberculosis, diphteria, polio, tetanus and whooping cough. These are all of them serious illnesses, which have cost the lives of a lot of people. Children have been especially threatened, and consequently I have never been in doubt, when it came to vaccination of children. It was important to protect them against these dreadful diseases. This was my attitude as a student of medicine and later on as a qualified doctor. I was told that on rare occasions there might be serious side effects like encephalitis, but they occurred so seldom that they were nothing compared to the damages and deaths caused by the diseases themselves. Most side effects consisted of a local irritation caused by the insertion, a little screaming and some passing fever. Moreover I was told that the serious brain damages might be coincidental, having nothing to do with the vaccination. As mentioned before I`m a qualified doctor and have worked as such in the Danish health insurance system for 10 years (1977-1986). Concurrently I had become interested in alternative therapy, but I still believed that vaccination was the safest protection against infant and children diseases. In 1987 I started an education as a Classical Homeopath. This was the start of my skepticism towards the effectiveness of vaccinations. Nevertheless I submitted to being vaccinated, when I was sent to Croatia in 1993 as a UN – doctor. The possibility of treating children suffering from side effects from vaccination with homeopathic nosodes. Learning that the decline in the number of deaths among children suffering from children’s diseases was not due to vaccinations. This decline had started long before doctors had begun vaccinating and was primarily due to better personal hygiene, improved sanitation, pure drinking water, wholesome food and generally improved condition of life. When returning from Greenland in December 1995 I immediately applied my new knowledge on children suffering from various chronic diseases. It was my suspicion that these diseases had been originated by vaccinations. With a background in this understanding I started proving my suspicion by giving children suffering from the above mentioned chronic diseases homeopathic nosode therapy. Kris was born on 7th of March 1990. I first saw him in 1992, when I treated him for asthmatic bronchitis. His mother told me he was born a healthy child, weighing 3.200 g. He had been given the usual vaccinations stipulated by the Danish health system. After one of these the parents remembered him crying and screaming all through the night. They didn’t remember how old he was at that time, but it had been difficult to get in contact with him. He had high fever after each vaccination, and after the third DiTePol and MMR his mother had noticed a remarkable change in his behavior. He was seldom happy, often dissatisfied and became easily angry and aggressive. Occasionally it was difficult to get into contact with him. At the age of 10 months he started in day-nursery and had recurrently returning otitis media and bronchitis. He was given penicillin several times, had both eardrums punctured and a drainage tube inserted. He lost weight, looked pale and unhealthy and was often tired. After I had given him two homeopathic remedies his ear problems disappeared, while his bronchitis still recurred. In 1992 he had started in Kindergarten, where he was extremely shy and reticent. When his parents had visitors he hid in his room and would see nobody. He often had furious fits of rage, kicking, beating and scratching. As this behavior grew worse his anxious parents came to see me in December 1995, the day after my return from Greenland. I gave Kris a vaccine nosode. It was the first time I tried a nosode therapy. When I saw Kris again one month later his behavior had changed remarkably. His fits of rage had diminished and become less violent, and his parents had obtained a better contact with him. His appetite had improved and he had put on weight. One year later his parents told me that Kris had developed positively. His bronchitis was still recurring, but he no longer felt so ill and weak as formerly.In school he was still a little shy, but the teachers described him as a happy boy who felt secure and comfortable. I must admit that I felt rather astonished to see the dramatic effect of just one vaccine nosode, but I also felt confirmed in my suspicion that it was the vaccines that had brought about the change in his personality. Her name was Elisa and she was almost 2 years old when I saw her in October 1995. She had also gone through the usual vaccination Programs . Six months old she started in a day-nursery and had constantly recurring colds with coughs and fever. In periods of fever she had to be looked after by her grandmother, but when she returned to the day-nursery she fell ill again. I started the therapy by giving her a homeopathic remedy Calc-p C 200. It helped her to stay well for a whole month. When she fell ill again I gave her another Calc-p C 200 with the same result. She was well for a month, but then fell ill again. I started wondering why this was so. After I had returned from Greenland and successfully had tried the nosode therapy on Kris, I thought that Elisa might be the victim of an Immune-deficiency caused by vaccines. I tested her and found that she had been especially weakened by the whooping cough vaccination. So I gave her vaccine nosode. The result was astonishing. Elisa was well for more than 6 months. Then she had another vaccination according to the usual vaccination Programs – and fell ill again. The same thing happened every time, whichever vaccine she was given. This was the second time I had seen the effect of nosode therapy. I had also learned that the effect of homeopathic remedies like Calc-p C 200 is limited because homeopathy seems to be blocked up by vaccines. My third case was Kristoffer. He was born in 1988 and 7½ years old, when I saw him in March 1996. Since infancy he had suffered from otitis media and now had to read lips because he was almost deaf. He had also developed asthma and was daily given Bricanyl spray and Spirocort spray. Because of his asthma he could not play with other children. He had no appetite and was often aggressive and sorry for himself. I tested him for vaccination damage and gave him a vaccine nosode. The parents told me that already the first evening there was a noticeable change. For the first time in years Kristoffer was hungry! In the course of a few weeks he had changed totally. His appetite was better, he had more energy, his hair was glossy and his hearing had improved to the extent that he need not read lips any more. A couple of months later his asthma medicine was discontinued, and he could now play with other children, running and riding his bicycle. I no longer doubted that vaccines caused serious damages on children’s health’s, but what amazed me was the fact that one single pill could initiate a process of healing so quickly in a child having suffered from vaccination damages since infancy. Carina was born in May 1993 and had been given only some of the vaccinations stipulated for her age. Generally she was strong and healthy and her problems were not colds or otitis media. Still she had had pneumonia in connection with colds. Her problem was not having a language. When she was 3 years old she could not say one understandable word. Her mother came to me because she had heard about the damaging effects of vaccinations on children’s health, and now she wanted her child to be sort of purified for vaccines. I tested Carina and was confirmed in my suspicion that her problem was caused by vaccines. I gave her a vaccine nosode, and less than two days later she was able to utter a whole sentence containing 4 understandable words. At the same time she was in a very unstable psychic state of mind, being very irritable and aggressive. From now on language was pouring out of her mouth, and her personality changed completely after having been confined by lack of language. After 6 month she was in possession of a language adequate to her age. Her immune system must have benefited, too, because when an epidemic of impetigo broke out in her Kindergarten, she was the only one not to catch it. This case started me wondering whether many of the speech problems met with in schools could have their origin in vaccinations? If so, then a nosode therapy would be more helpful than any educational endeavors! Fluids from the ears/ otitis media. It was not difficult for me to understand why so many children were ailing, when I considered what was the content of the vaccines injected into infants and children. Primarily vaccines contain pathogenic germs or vira, mostly grown on animal tissue. These germs or vira have been weakened or killed in order not to provoke the disease – anyway only in a mild form. These vaccines contain tissue fixatives (formaldehyde, aluminum phosphate, aluminum hydroxide) and preservative (thiomersal, a mercury compound). Certain vaccines even contain neomycin, which is an antibiotic. When injected they cause local reactions (redness, swelling at injection site) or even systemic reactions (fever, vomiting). Thiomersal causes various allergies. All medical systems – except orthodox or allopathic medicine – look at the human body as a whole and interconnected system. Homeopathy understands disease as a need of the body to rid itself of toxins, and it does so in an orderly and meaningful fashion without attempting to suppress the symptoms. Vaccines introduce vira directly in the bloodstream while the natural way of catching a disease goes through the air passage or the digestive organs, where the local immune defense sets in. Far from preventing diseases vaccines push the disease into a chronic form and deeper into the body, where it then attacks vital organs. The result of suppressing measles and other infectious diseases in this manner is cancer and other autoimmune and chronic diseases. It has been documented in medical literature (Viera Scheibner 1993) that people who contracted cancer and other chronic degenerative diseases in later years have remarkably few infectious diseases of childhood to report. The sordid story of vaccination programs reveals the enormous gaps in the knowledge base of the orthodox medical establishment, especially a profound lack of knowledge of the dynamics of health and disease and functioning of the human body. It is the same medical industry, which enjoys the protection of the institutions of the State in most industrially developed countries. After these 4 initial cases I have treated more than 700 children whose immunity had been weakened by vaccinations, but all the time I kept thinking: We can`t solve this problem with the help of therapy. The only solution is stopping vaccinations! I know we are talking about big business now, and that we are up against powerful forces. 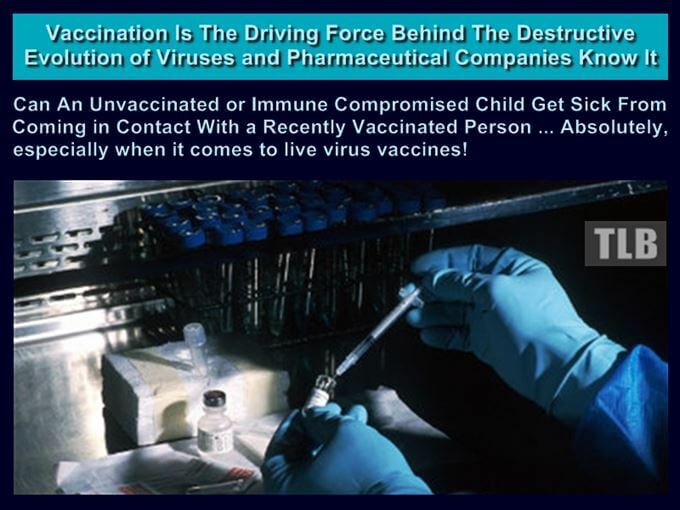 The vaccination industry is backed up world-wide by WHO in close co-operation with governments, financiers and industrialists. But this is no excuse for not starting doing something now. Because if we don’t try to stop this madness now the coming generations will suffer not only from Immune-deficiency, but we`ll see changes of genetic codes caused by the animal tissues injected into our children. Ravi Roy & Carola Lage-Roy: Homøopatisk behandling af vaccinationsskader (Klitrose 1995). Isaac Golden: Vaccination. En gennemgang af risiko og alternativer (Klitrose 1998). Viera Scheibner, Ph.D.: Vaccination. 100 years of orthodox research shows that vaccines represent a medical assault on the immune system. (Australian Print Group, Maryborough, Victoria, Australia 1993). Guilaine Lanctôt, MD. : The Medical Mafia (The Key Inc. 1995. P.O. Boks 223 Morgan, U.T. 05853 USA.). Danish translation, Klitrose 1999.